The most recognized song in the English language is “Happy Birthday” according to the 1998 Guinness Book of World Records. Patty and Mildred Hill of Louisville Kentucky created the melody of this song. 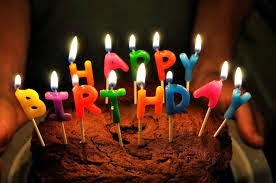 The words were originally “Good morning to you,” but evolved into “Happy Birthday” to celebrate birthdays. There have been many birthday songs over the years. Who can forget Marilyn Monroe singing to John F. Kennedy in 1962? In my house, we like to play the Beatles song “Birthday” written by Lennon & McCartney. More recently, restaurants have come up with their own versions due to copyright violations of the original “Happy Birthday” song. When we think of birthdays, we think of fun events. We think of family dinners, presents, and parties. However, when it comes to taxes, birthdays have another special meaning. These tax birthdays can offer special benefits, or perhaps penalties. It is important that you plan for these milestones so you can take advantage of any situation made available to you. To help you do so, we have compiled this helpful list. Required minimum distributions must be made from retirement accounts (except for Roth IRA) or there is a 50% penalty! Age 50: If you are age 50 or older as of the end of the year, you can make an additional catch-up contribution to your 401(k) plan (up to $5,500 for 2014), and Section 403(b) tax deferred annuity plan (up to $5,500 for 2014). To do this you must first check to see that your plan permits catch-up contributions. You can also make an additional catch-up contribution (up to $1,000) to a traditional IRA or Roth IRA. Age 55: If you permanently leave your job for any reason after you turn age 55, you can receive distributions from your former employer’s qualified retirement plans without being socked with a 10% premature withdrawal penalty tax. This is an exception to the general rule that distributions received before age 59 ½ are hit with a 10% penalty. Age 59½: You can receive distributions from all types of tax-favored retirement plans and accounts (IRAs, 401(k)s, pensions, and the like) and from tax-deferred annuities without being socked with the 10% premature withdrawal tax. Age 62: You can start receiving early Social Security benefits. You should consider consulting a professional for more specific information. Please beware: Depending on your income from other sources, up to 85% of your Social Security benefits may be taxed. Age 70½: You generally must begin taking annual Required Minimum Distributions (RMD) from your tax-favored retirement accounts (traditional IRAs, SEP accounts, 401(k) accounts, and the like). (However, you do not need to take any RMD from your Roth IRA.) You must calculate your minimum distribution and if you do not take out the minimum distribution, the difference between what you should have taken out and what you actually took out is usually subject to a 50% penalty! These tax laws are very important because if you choose to ignore the RMD rules there can be dire consequences. Planning for this event is critical and provides a great opportunity to seek the advice of a knowledgeable professional. The IRS can assess a penalty tax equal to 50% of the shortfall between the amount that you should have withdrawn for the year and the amount that you actually took out. Unfortunately, although these rules seem simple, they often are not! For example, your first RMD is for the year you turn 70½. However, you can postpone taking your first RMD until as late as April 1st of the following year. If you chose that option, however, you must take two RMDs in that following year (one by April 1st, which is for the previous year) plus another by Dec. 31st (which is the one for the current year). 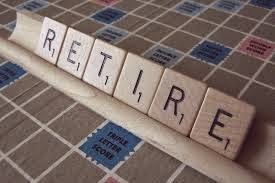 Beware: If you turned 70½ last year and did not take your RMD in 2013, you face the April 1st deadline in 2014. For each subsequent year, you must take your RMD by Dec. 31st. There's one more exception. If you're still working after reaching age 70 ½, and you don't own over 5% of the business that employs you, the tax law allows you to postpone taking any required minimum withdrawals from that employer's plans until after you've retired. In today’s highly complex and rapidly changing world, investors are faced with an incredible array of investment choices. Many financial advisors are happy to help you invest your hard-earned dollars, but that is only one part of achieving your overall financial goals. Some advisors are not well versed in certain critical areas or do not have access to other professionals that may coordinate those areas for them. Even if a financial professional can assist in those areas, there may be a limited incentive to do so because their relationship with their clients may be solely based upon commissions and limited in other services, such as tax reduction strategies.